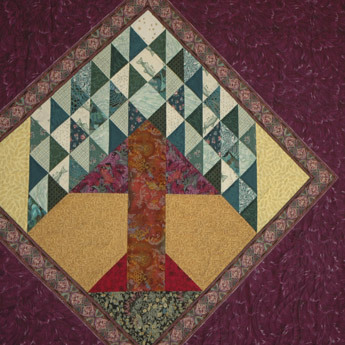 In 1994-5 Bev worked with the youth and adults in the Wellesley Hills Congregational Church to create the Christian Seasons and Symbols Quilt, which adorns the church assembly room. Inspiration for the design came from quilts by Rosemary Makhan. Funds raised by selling notecards featuring the quilt benefit the church’s many outreach programs.